The completed demonstration building was officially launched last week by the Assistant Minister for Agriculture and Water Resources, Senator Richard Colbeck. 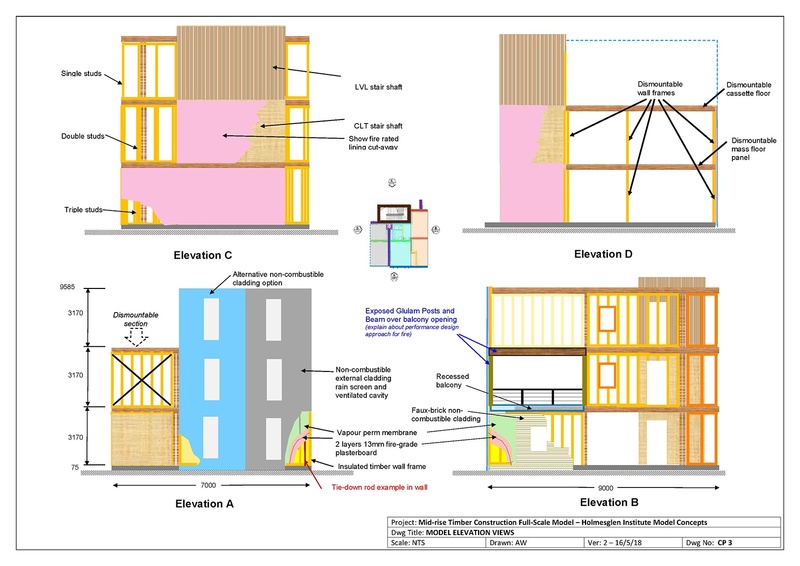 Hyne Timber’s Business Development Manager for commercial projects, Rob Mansell said the model demonstrates the structural, fire rating, and acoustic systems commonly seen in mid-rise timber construction. “Contemporary use of timber in mid-rise construction remains fairly new to the design and construction industry. 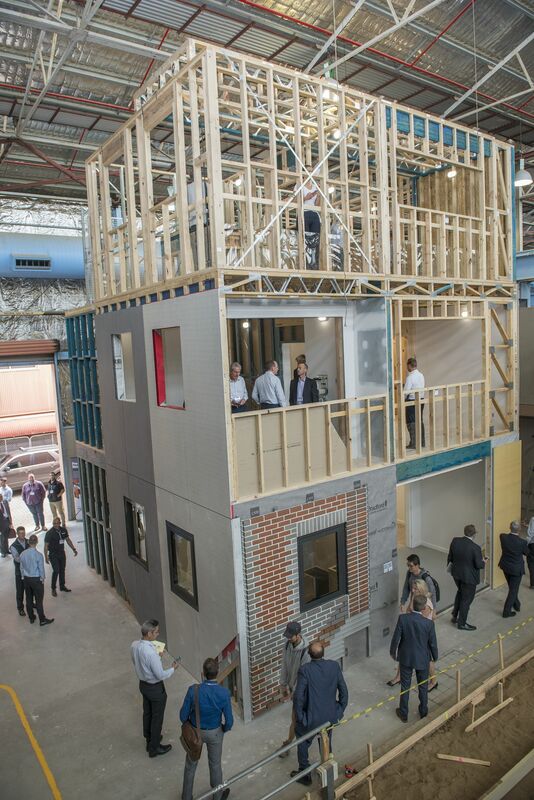 “This demonstration model is a real, hands on opportunity to walk through, study connection detailing and services for example with deliberately placed exposed areas such as connections. “I invite any interested parties who would like to visit the model to contact us to arrange a tour.” Mr Mansell said. Earlier in the year, Hyne Timber, alongside other industry suppliers, partnered with Forest and Wood Products Australia through their WoodSolutions brand, to supply both lightweight and massive timber elements for the construction which is now ready to showcase its content. Laurence Ritchie, WoodSolutions Mid-Rise Advisory Program’s Cost and Program Estimator said there are plans for detailed sessions to be made available. “In partnership with our timber suppliers, we will be hosting a series of one-on-one discussions, group seminars and displays, hands on training and student education sessions to a broad range of stakeholders and services trades throughout the design and construction sector.” Mr Ritchie concluded. Hyne Timber, a gold sponsor of the WoodSolutions Mid Rise Advisory Program, congratulates the Mid-Rise Advisory Program team on successfully completing the model. “This is a fantastic initiative and deliverable for the whole timber industry to use and benefit from. 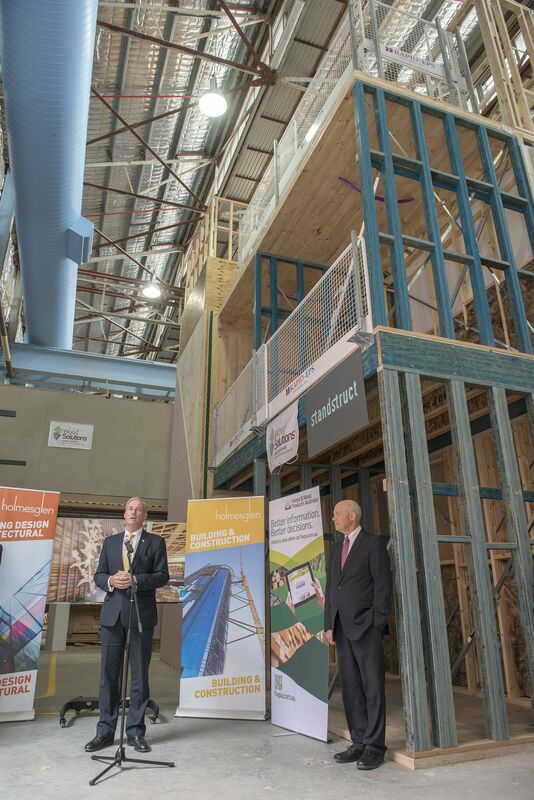 Well done to the Mid-Rise Advisory Program team who have brought this demonstration building to fruition with the support of all the stakeholder partners including suppliers and the Holmesglen Institute.” Mr Mansell concluded.